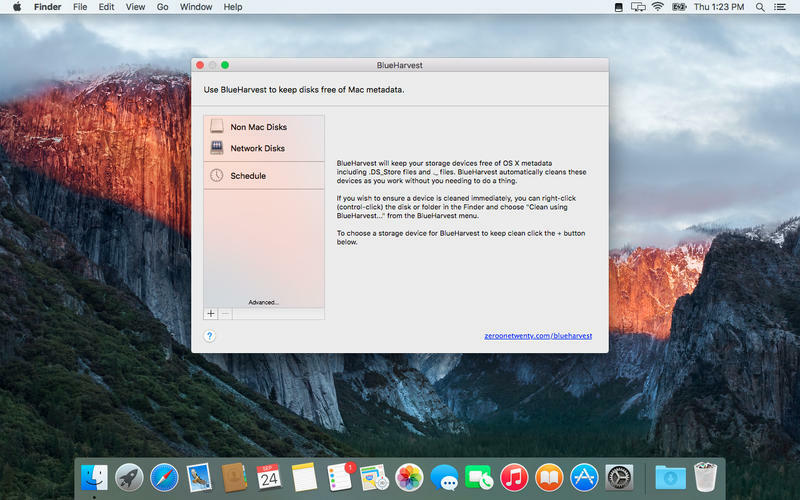 BlueHarvest will keep your non Mac formatted storage devices free of OS X metadata including ._ files, .DS_Store files, Thumbs.ini (from Windows), .AppleDouble folders, .Trashes and many many more. BlueHarvest automatically cleans these devices as you work without you needing to do a thing. Happy holidays. Thanks for all your feedback and support during 2016! Added folders are now cleaned during scheduled cleaning. Added folders which can no-longer be found are showed with an 'X' in the icon.